This article was written by Helena Helmby from the London School of Hygiene & Tropical Medicine, and was originally published by The Conversation. T.solium, also known as pork tapeworms, can measure up to 10 m when mature and are among the biggest of these ribbon-like worms to infect humans. They do this through larval cysts in undercooked pork that hatch in the stomach and quickly grow into adult worms which inhabit the intestine, feeding on the nutrients you eat. Disease is generally restricted to malnutrition as the worm competes with you for food – unless you ingest eggs rather than a cyst. These migrate around the body before forming larval cysts – a condition called cysticercosis – just like they do in pigs. This can cause severe problems, particularly in the central nervous system (neurocysticercosis) where they can cause epileptic seizures. This is believed to be a main cause of epilepsy in many poorer parts of the world. 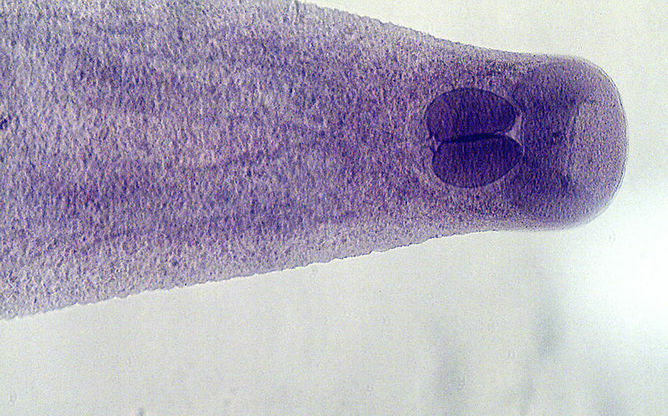 Another tapeworm, but only 3-7 mm long, which causes a nasty disease called cystic echinococcosis (CE). The worm has a life cycle that normally cycles between carnivores (usually dogs), and sheep or other livestock. Humans become infected through accidental ingestion of eggs from dog faeces, either through contaminated food products or from direct contact, or contaminated soil. The worm’s eggs are tough – they can remain infective for months, even in freezing temperatures. More than a million cases of CE occur every year worldwide, mainly in areas where livestock, including camels, come into close contact with dogs. 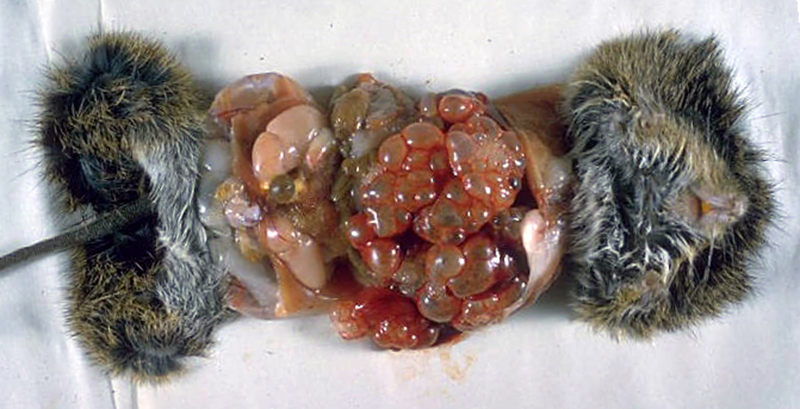 After ingesting eggs, the parasite migrates, primarily to the liver. Slow-growing cysts form and symptoms may not be obvious until several years later. Cysts can contain several litres of fluid and are full of infectious larval stages called protoscoleces. Spontaneous rupture of the cysts can be very dangerous and lead to fatal shock. Geographical distribution of this tapeworm is patchy but it’s found in both North America and Europe where prevalence is slowly increasing. Its life cycle normally involves foxes and small rodents but can happen in domestic dogs and even cats. In humans it causes a disease called alveolar echinococcosis, which forms cysts in internal organs. The cysts can reproduce and spread like tumours and be fatal if untreated. This infection is considered a risk factor for hunters who handle infected fox carcasses and people foraging for berries and mushrooms contaminated by fox faeces. 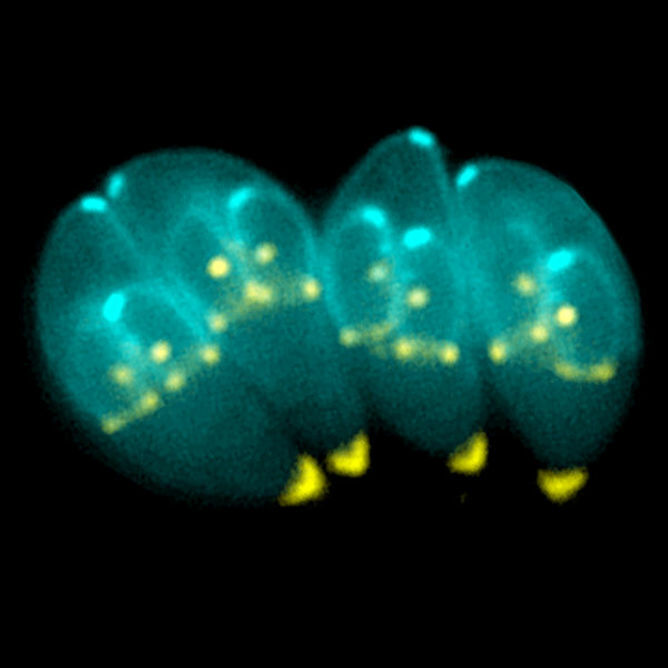 T.gondii is a single-cell parasitic animal (protozoa) that can infect practically all warm-blooded mammals, but its life cycle normally takes place between cats and rodents. 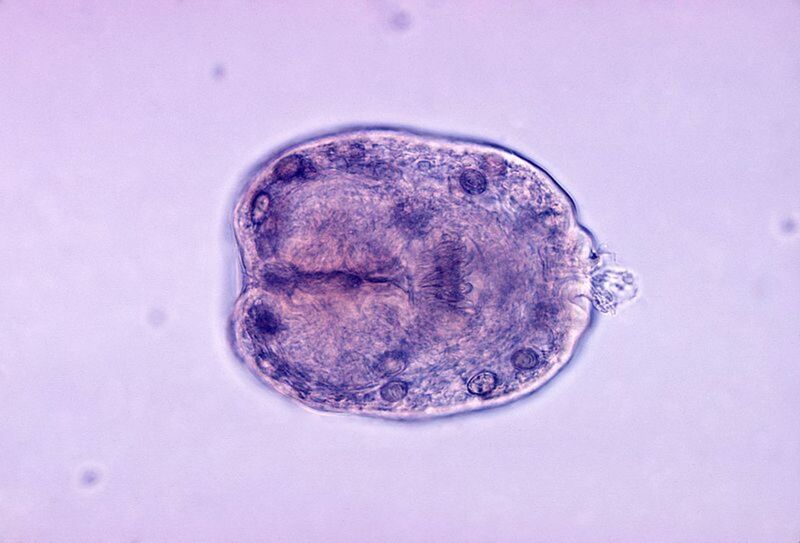 T.gondii is present in most countries and is one of the most widespread protozoan parasites affecting humans. 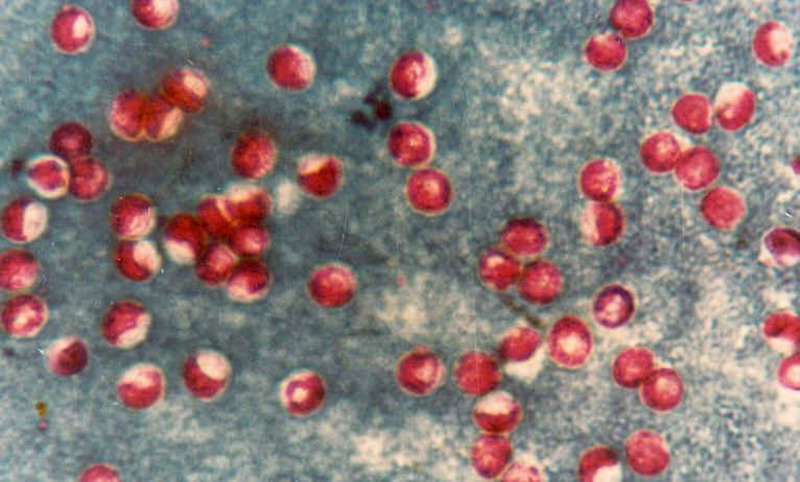 Infection rate in humans varies between 10-80 percent of the population in different parts of the world and the parasite usually stays dormant in the tissues for the lifetime of the host – most infected people have no symptoms and never know they’re infected. These protozoan parasites are mainly transmitted via contaminated water or food washed in contaminated water. Unpasteurised cider and milk, and contaminated shellfish have been implicated in several outbreaks. The parasite is present worldwide, including the UK, and infection is often caused by foecal contamination of water supplies by infected livestock. In healthy individuals the disease causes severe watery diarrhoea, which often rights itself. Thorough washing of fresh produce – including “ready washed” lettuces – is recommended. 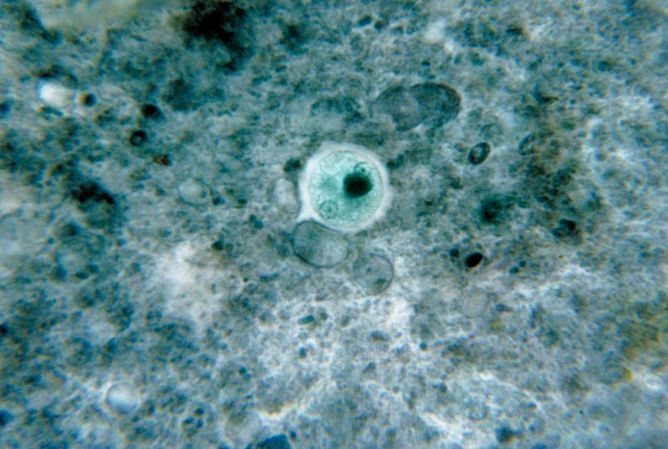 Another protozoan parasite that infects the digestive tract causes amoebic dysentery. The disease is characterised by bloody diarrhoea and abdominal pain that can become life threatening. More severe problems can occur if the parasite starts spreading from the intestine out into the body, causing abscesses in the liver and other organs. Trichinella spiralis, is an intracellular “pork roundworm” responsible for trichinellosis, a muscle infection caught from eating raw or undercooked pork, or pork products such as smoked sausages. Other sources include game such as wild boar, and even walrus. Infected meat is contaminated with cysts, invisible to the eye, that contain a small larvae. When the meat is digested, these grow into adult worms that mate and produce thousands of new larvae, which travel out into the muscle tissues where they encyst, awaiting the current host to be eaten. This is a family of flatworms, or flukes, mainly present in south-east Asia (though some species are also present in Europe and Russia). The infection is contracted through eating raw or undercooked freshwater fish that have themselves been snails infected with larvae. These develop into another type of larvae in fish, and when they are eaten by a mammal (such as a human) they turn into adult worms that make themselves at home in the bile duct and gall bladder. It then produces eggs that are excreted in faeces, which hatch to infect new snails when they reach a fresh water source. 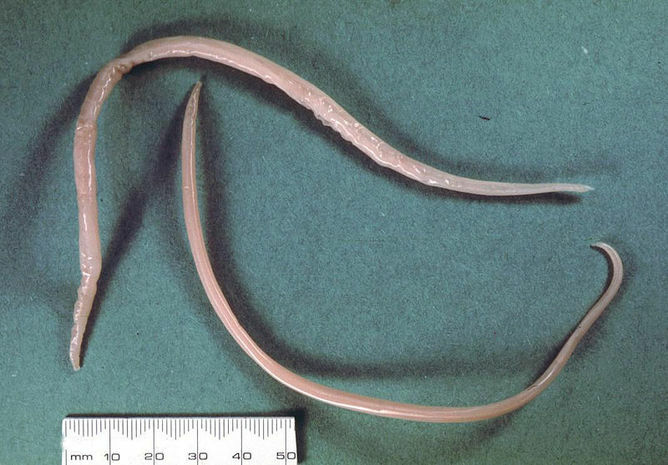 These are the largest of the human intestinal roundworms (up to 35 cm) and with 25 percent of the world infected, are the most common parasite in humans. After ingestion, the eggs hatch into larvae in the intestine before undergoing a remarkable migration: they travel out of the intestine via the blood to the lungs, then migrate up the airways to the throat, where they get swallowed down into the stomach and back to the intestine again, where they finally develop into adult worms. Each female worm produces hundreds of thousands of eggs per day which are excreted in the faeces, contaminating the environment and further spreading the disease. A second species, Ascaris suum, was until recently believed to only infect pigs but is also able to infect humans. The level and symptoms of disease depend on the number of worms the individual is infected with, and intestinal blockage can happen because of the size of the worms. The infection is normally transmitted though contact with the faeces of triatomine beetles ('kissing bugs'), which seek nightly human contact to feed on human blood. When it feeds, the beetle defecates on the host’s skin. 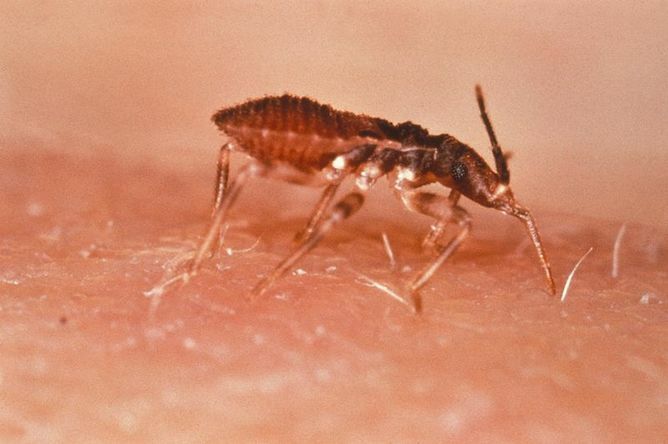 Bug faeces are often then scratched into the bite wound. T.cruzi is on the top 10 list because it was recently discovered that humans can be infected by simply ingesting foods contaminated with bug faeces – several outbreaks in recent years were caused by contaminated fruit and sugar cane juices – causing concern that it could become a global pathogen. Helena Helmby, Senior Lecturer, London School of Hygiene & Tropical Medicine.